Filming continues apace on the set of Star Wars: Episode VIII, as Disney and Lucasfilm’s mainline installment positions itself to punch it all the way into theaters late next year. 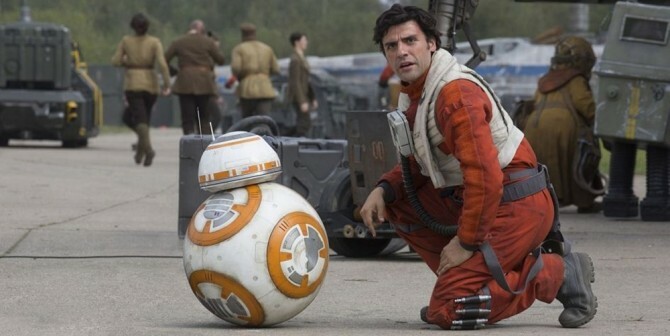 Much of the core cast will be reprising their roles from The Force Awakens, too, including Daisy Ridley, John Boyega and Oscar Isaac as skilled X-Wing pilot, Poe Dameron, and the latter recently offered up some tantalizing details about the creative process going into Episode VIII. When speaking to the Los Angeles Times, Isaac heaped praise on Rian Johnson, the Looper and Brick director at the helm for Star Wars: Episode VIII. Since being appointed to direct, the likes of Adam Driver and series stalwart Lawrence Kasdan have pinpointed Johnson’s filmmaking techniques, and how he’s cooking up a Star Wars film unlike anything that’s come before. Echoing that sentiment, Oscar Isaac went on to say that Episode VIII will explore different things that one wouldn’t expect to see in the Star Wars universe. [Director] Rian [Johnson] is definitely going to places and investigating things that haven’t really been done in the Star Wars universe. For me, it’s so fun getting to explore different things that I wouldn’t have expected in this universe. In some ways it feels like we’re making an independent film. Certain things we get to play with—this kind of intimacy that we get to find—it’s special. It’s been really fun. Star Wars: Episode VIII has plot course for release on December 17, 2017. Among the roster of newcomers are Benicio Del Toro and Laura Dern, while Lupita Wyong’o’s Force-sensitive smuggler Maz Kanata has been rumored to return.